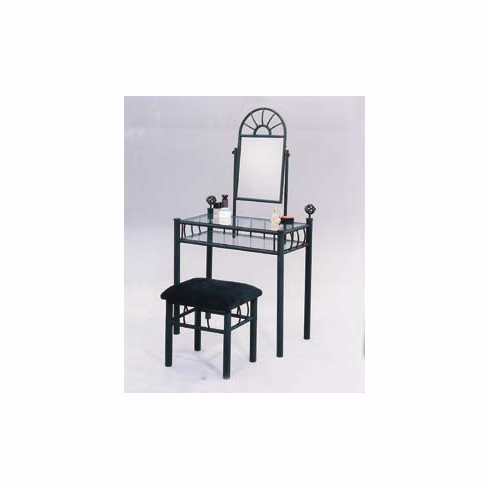 Sandy black finished vanity table with vanity stool. Vanity table comes with 2 glass shelves. Chair padded cushion seat.